Had dinner with friends on Saturday night and were chatting to a Moroccan friend, who is about to move to the UK, and we were explaining about all the different root vegetables that we have there, that are not available here. Moroccan tagines are great with root veg and he is a very good cook and will have fun exploring cooking with turnips, parsnips, swede etc. Made me wonder about other things we can’t get here. When I first arrived 8 years ago trips back to the UK included a supermarket trip for various foodstuffs. Now a lot of them are available here, or we’ve found alternatives. Indeed, after such a long time I don’t taste any difference between ‘our’ produce and those from the UK, but then that could just be my bad memory. Now the only foodstuff I bring back is Marmite (for gravy cos our Knorr stock cubes are really pale) and I do miss Heinz Baked Beans, we get beans in tomato sauce but they really aren’t they same, although they are acceptable with a smidgen of sugar and shake of Worcestershire Sauce (Jessy’s not Lee and Perrins). 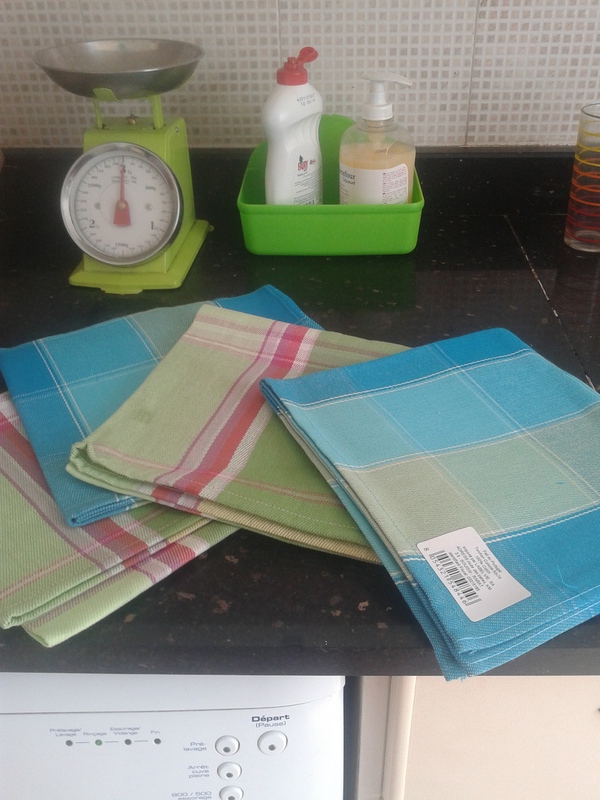 Just found this week proper sized tea towels in the supermarket, my sister in law thought I was mad using tiny dishcloth sized tea towels when she visited, but that was the only size available until now. We still get excited when something familiar to us appears in the shops for the first time, and within days the grapevine has worked and the shelves are empty! Unfortunately Moroccan stock replenishment leaves a lot to be desired. For example hide dog chews, theres only one shop in Agadir who sells them and they had them constantly for the past two years but they’ve run out for the past three months now with no rhyme nor reason. Then there’s the difference in culture, you can buy dried stuffs weighed out in little bags, flour, cous cous, rice etc, like the old grocery shops of my childhood. 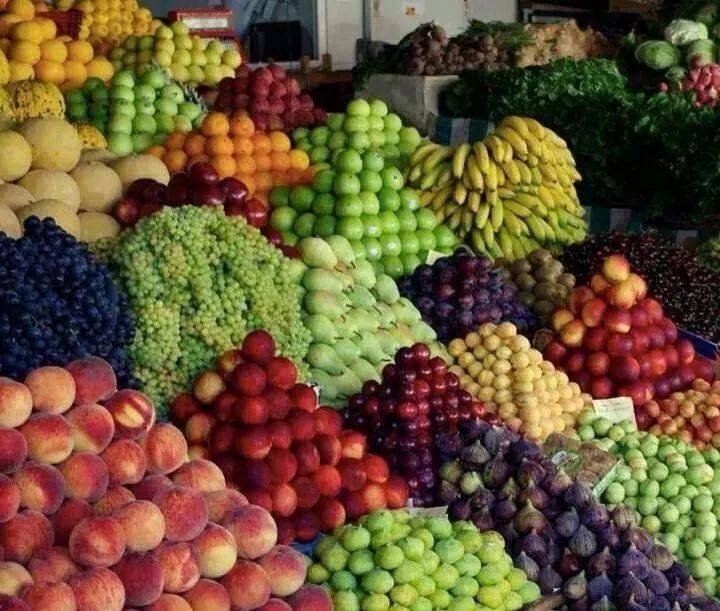 And everything is in season, strawberries are only available here in the winter months, prices go up and down enormously depending on whether its the height of season or not, we get some imported fruits but never vegetables, this is how life should be, we shouldn’t be flying our food half way round the world in my opinion. Also everything is made freshly, ready meals have only started to appear this last year, individual lasagnes, frozen fish in batter, pizzas, and I imagine these are only bought by us mad foreigners. Bread is baked freshly twice a day and is as hard as a rock the next day because they don’t use the preservatives, they just buy fresh. 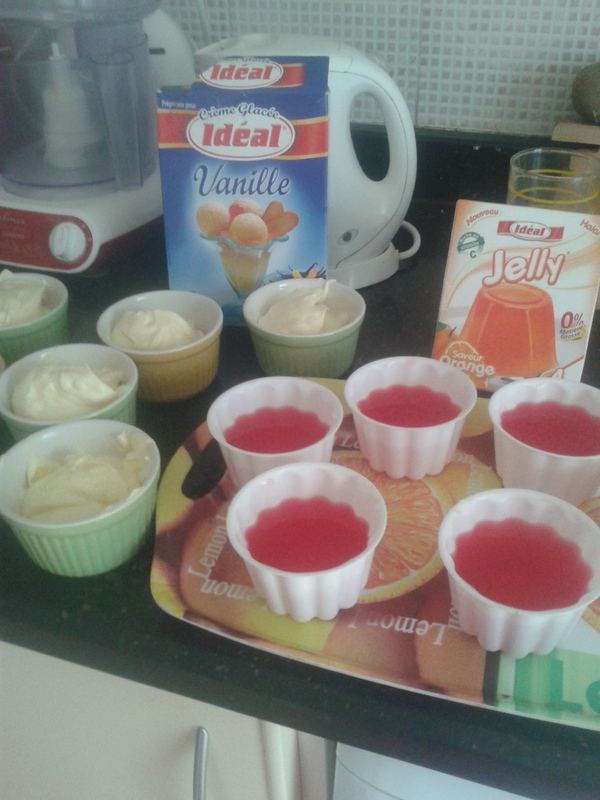 Yesterday I was watching Come Dine with Me, and they were going to great lengths to make home made ice cream, and I had just made some jelly and ice cream myself, but mine came from easy packet mixes, again a recent addition to the supermarket shelves. Found it interesting that Morocco is just entering the convenience foods market, and the UK seems to be coming out the other side, with a return to locally grown produce, home baking, cooking from scratch. At least, that’s what the TV shows us, but then again, it also shows us families who eat nothing but convenience stodge and takeaways. Whats the truth? Whats in your shopping trolley? This entry was posted in Agadir, Agadir, Attitude, Attitude on Sep 23, 2014 by ChristinaMaroc.